Second generation printer and local entrepreneur Lawson Willett found he needed a new location for his ever-growing company. Not only the print side, but his range of businesses in fulfilment, logistics and content marketing. So he set about the task of checking every available location around town. Looking to steer clear of industrial units on the fringes of town, which he felt wouldn’t have the creative buzz he was looking for, he suddenly came across the old Gardiner Shoe Factory in Gloucester; once very busy but now sitting neglected, empty, missing its industrious past. As the long slog to convert the building began and lots of usable rooms of all sizes and shapes began to emerge out of the gloom, people kept asking if they could rent desk-space from him. A whole range of people. Mainly entrepreneurs and small businesses needing to expand their offices from converted garages or overpriced offices, from rural businesses wanting roots in the city, from people working alone and missing the buzz of a team. 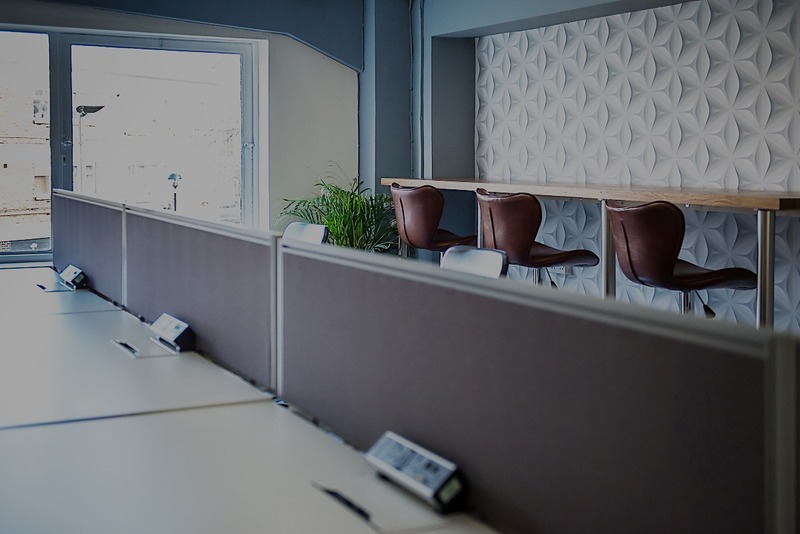 So realising there was a need for co-working and virtual space for business professionals, for like-minded entrepreneurs and tech savvy individuals needing flexible, affordable, creative space in Gloucester, No1 Business Centre was born.